Provençal liturgical poet; flourished at Beaucaire in the middle of the thirteenth century. He was the author of a liturgical poem beginning for the Sabbath preceding the Feast of Passover ("Shabbat ha-Gadol"), in which are given all the ritual laws to be observed at Passover. The poem contains thirty-nine alphabetically arranged strophes, each of which begins with a Biblical verse and concludes with the pizmon . 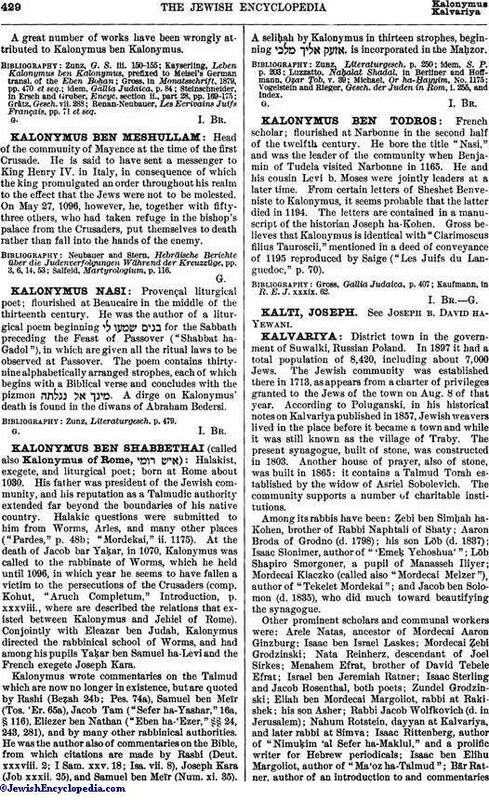 A dirge on Kalonymus' death is found in the diwans of Abraham Bedersi.